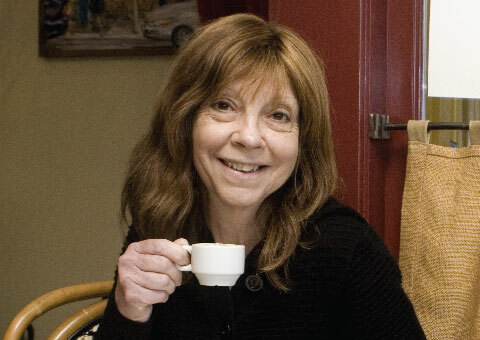 Cara Black is one of a number of talented authors published by SoHo Crime, an imprint of SoHo Publishing. They include none other than Colin Cotterill creator of the Dr. Siri series set in Laos, Timothy Hallinan author of five and soon to be six Poke Rafferty novels set in Thailand and Lisa Brackmann author of the critically acclaimed ROCK PAPER TIGER and HOUR OF THE RAT set in China. Coincidentally or not all of the above authors have been extremely nice and cooperative to me. You can go to Cara Black’s author page at SoHo Crime by clicking the picture below. It is my pleasure to welcome Cara Black back to Thailand and to Thailand Footprint. KC: Thank-you for agreeing to this interview on such short notice. 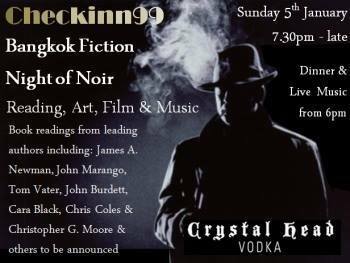 I’m looking forward to being in the audience for the Night of Noir event to be held January 5th, 2014 at the Check Inn 99 in Bangkok. It should be fun. I found it interesting to learn that you spent some time in Thailand in the 1970s. What are your recollections of Thailand and Thai people from that time? How has the country changed and how have the people changed, if they have? CB: I look forward to the Night of Noir and meeting you, too Kevin. To your question (and it really dates me) I lived in Bangkok for five months – way past my visa – when the Viet Nam War was in full swing. After traveling from India and running short of cash a fellow traveler – also staying at the Atlanta Hotel – advised me to ‘Go to Patpong and look for a hostess job’. The second bar I tried, a large Chinese one, hired me on the spot as the only foreign hostess. Bangkok then had few high rises, no BTS and the tuk tuk’s were bicycle powered. Every morning on the Soi the monks came with their bowls for alms – that hasn’t changed – and I remember in the evening before work everyone putting offerings before the shrine at the next corner. Bangkok was such a quiet place – apart from the adrenalin charged GI’s on R+R from battle duty in Viet Nam. One evening everyone on the Soi was excited – my Thai was very limited – something about a boat and offering. Finally the lady on the Soi from whom I bought my Som Tom and Sticky Rice every day explained with laughter and sign language to take a tuk tuk to Chao Praya. The river was full of lantern boats with candles for Loy Kratong. Amazing. People prayed before launching them into the water. I’ve never forgotten the glittering lighted lanterns floating by the thousands past the temples. The warmth and gracefulness of the Thai people stayed with me and I’ve found it again. KC: Those are wonderful recollections, Cara. They will help explain the attraction Thailand still holds today for many. I’ve just finished reading my first Aimee Leduc Investigation novel – MURDER BELOW MONTPARNASEE. But it is your 13th in the series. And the 14th, MURDER IN PIGALLE is due to hit the book shops in March of 2014. Raymond Chandler wrote a total of 7 Philip Marlowe novels, I believe, back in another era and another time as far as publishing. Your goal is to write 20 Aimee Leduc Investigation novels. What do you like about writing a long series of novels involving Aimee. 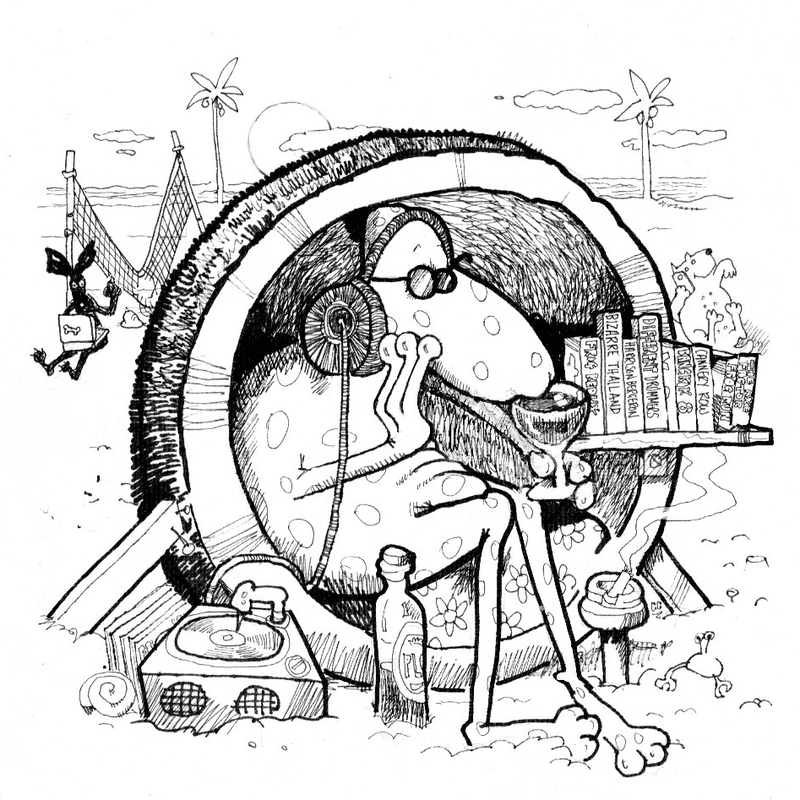 What difficulties, if any, does it pose writing a lengthy series? 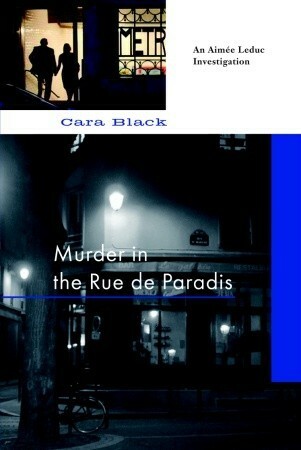 CB: I never intended to write a series, much less set in Paris, I was thrilled to get published. That still feels incredible and I count myself lucky. In Murder in the Marais, my first book, I was passionate to write about the story I’d heard from my friend’s mother who was a hidden Jewish girl during the German Occupation. Using that theme to explore the less known side of collaboration, the grey areas I needed a detective. She needed to be half-American because I couldn’t write as a French woman – I can’t even tie my scarf the right way – but Aimée in the detective mold made famous by Chandler is a lone wolf, neither fish nor fowl, an outsider yet part of a Paris I saw. Every book in the series – at its core – explores social issues, mores, traces of old colonialism and often the ethnic areas I stumble upon in Paris. Paris has twenty arrondissements, each with a distinctive flavor and ambiance, which still excites me. I feel fortunate to have the chance to write stories of the places, the people who inhabit these particular slices of Paris and research the history that pervades the cobblestones. To keep a series fresh and yet familiar to readers who want to spend time again with the characters who must grow and change is a challenge I never envisioned but I love it. KC: Your energy comes across in your writing and also here, today. A younger Aimee Leduc reminds me of the cool girl I would have been attracted to but afraid to ask to dance in High School. Aimee likes the bad boys and may have a tattoo or three. Tell me about Aimee’s romantic interests in the past and from which novel(s) readers can find them? CB: In the first three books Aimée’s gotten involved in an on again off again affair with Yves, a French journalist who she keeps saying goodbye to on the boulevard Saint Germain or on Cairo street corners. She’s drawn to him like metal filings to a magnet – the traveling foreign correspondent, a bad boy and unavailable as her best friend Martine keeps telling her. In Murder on the Rue de Paradis, set in the tenth arrondissement their relationship takes a turn on the Canal St. Martin. I can’t reveal much but decisive and heart rending come to mind. In Murder in the Bastille, she’s treated by Guy, an eye surgeon with whom she develops a relationship in later books (Murder in Clichy, Murder in Montmartre). But he’s the type who wants her to settle down, become a doctor’s wife, give luncheons and live in Neuilly. Not Aimée’s style at all. Aimée’s vowed never to become involved with a ‘Flic’ a French cop (she knows it’s a hard life and killer on relationships – her father was a former flic) but Melac, a detective in the elite Brigade Criminelle, homicide squad in Paris treats her as a suspect in Murder on the Ile Saint-Louis (where she lives) becomes more than she bargained for. Things get complicated from there on. She’s got an air of je ne sais quoi, handles a Beretta, finds haute couture at the flea market – all the things I’ve experienced and some I’d like to. And along with it Aimée’s personal life – her boyfriends, the sense of belonging she’s always looking for which reflects the young Parisiennes I know who even though chic, slim and with cheekbones that could slice paper have relationship trouble. KC: Can you tell me when your love of Paris began? What is the attraction for you, if you can explain it to me? CB: My Father was a Francophile – loved good food and wine and Jacques Tati movies. He sent me to a French school in California with old French nuns back in the day when they wore headgear like the Flying Nun. We learned – what I later found out to be – an archaic form of French. I had so many expectations and ideas of what France would be like that the first time I arrived in Paris it felt familiar yet different. Hitting Paris with a backpack to find the wafting scents of butter from the boulangerie, the apricot sunset painting the roof tiles, the quai’s with bookstalls lining the Seine, the narrow cobbled streets with women clattering on high heels sealed it for me. I fell in love with the City of Light, which has turned into a long running affair. I love the Parisians – cynical one minute, caring the next, passionate over everything and full of contradictions. That keeps me coming back hoping someday I’ll understand them…but mystery and elusiveness like any good affair keeps it alive. KC: When was the last time you smoked a cigar? CB: Last October in Paris outside a cafe – a Cuban Cohibo. CB: We write to give a voice to those who aren’t heard. PS That’s funny, Kevin I have that saying above my computer! KC: I like your sentence. It ties right in with the best advice I ever got from Henry Miller. “Forget yourself.” How long will you be in Thailand? Where have you been and where will you go? CB: I’m in Thailand with my family and two others – ten of us in total! We’re visiting my husband’s old schoolfriend who’s stationed in Bangkok with the UN World Food Program. We stayed with him in Bangkok, visited Siam Reap and Angkor Wat and Beang Mealea temples in Cambodia – amazing – then on to Koh Lanta for beach time and where they film a French reality show. We’ll be back in Bangkok for the Night of Noir. KC: Tell me the best reason I should go back and read #1 in the Aimee Leduc Series, where it all began for you, MURDER IN THE MARAIS? CB: If you like to start at the beginning of a series and meet Aimée Leduc, her dog Miles Davis, a bichon frise who live in a frayed around the edges 17th century townhouse on the Ile Saint-Louis and René Friant, a dwarf, her partner it’s a good place to launch. As I mentioned above this story was inspired by the experiences of my friend’s mother’s – a young hidden Jewish girl during WWII. Her experiences haunted me for years after I heard them. The book took me three and a half years to write – of course I was learning and discovering the process of writing. I think in writing, I tried to make sense of that past time, that world at war on everyday people, the dichotomies and the choices between right and wrong. But what if right and wrong weren’t clear when one’s trying to survive and live to the next day? And what if that choice to survive comes back to haunt you fifty years later in the City of Light? KC: You’ve made a good case for me. And those Miles Davis references in MURDER BELOW MONTPARNASSE take on a whole new context. Thank-you Cara Black, again, for doing this interview during the holiday season. See you at the Night of Noir.